Namely automatically keeps all your HR and payroll data in sync. 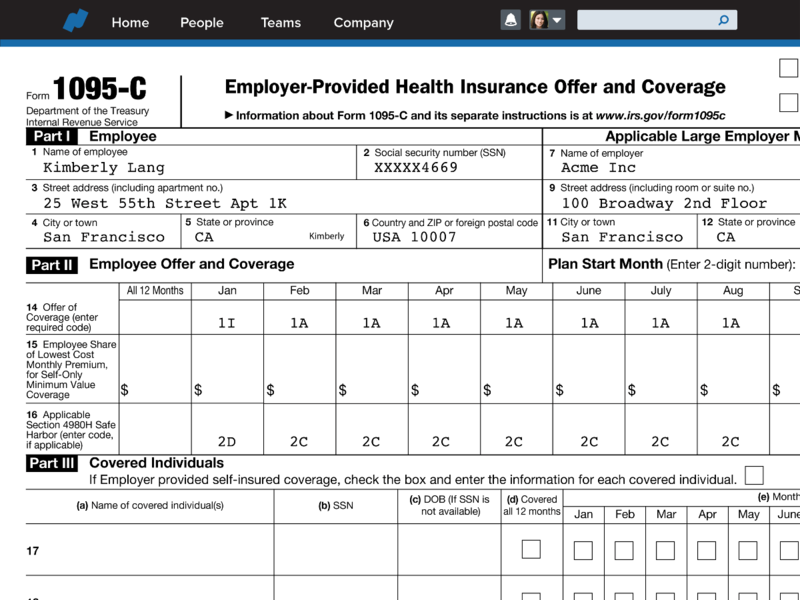 Keep benefits deductions up-to-date whenever you run payroll. 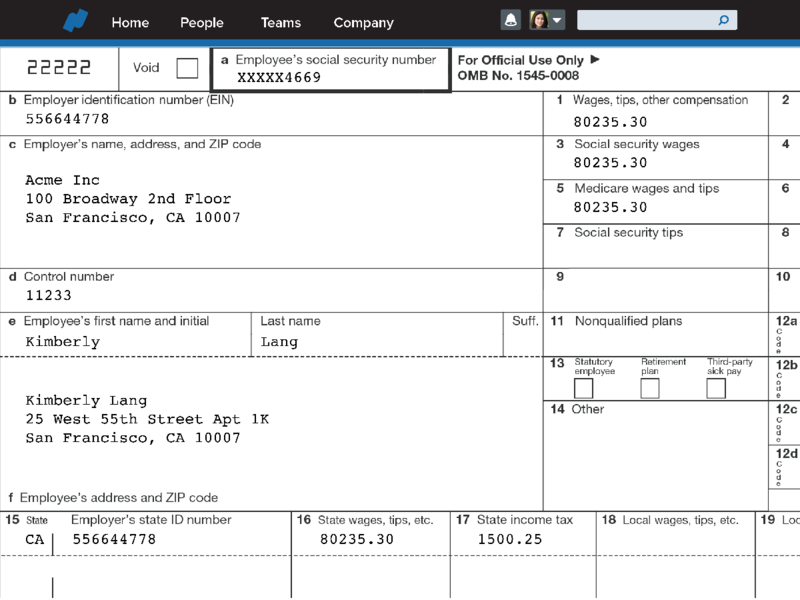 Namely files local, state, and federal payroll taxes on your behalf. Let Namely handle W-2s, 1099s, and more. 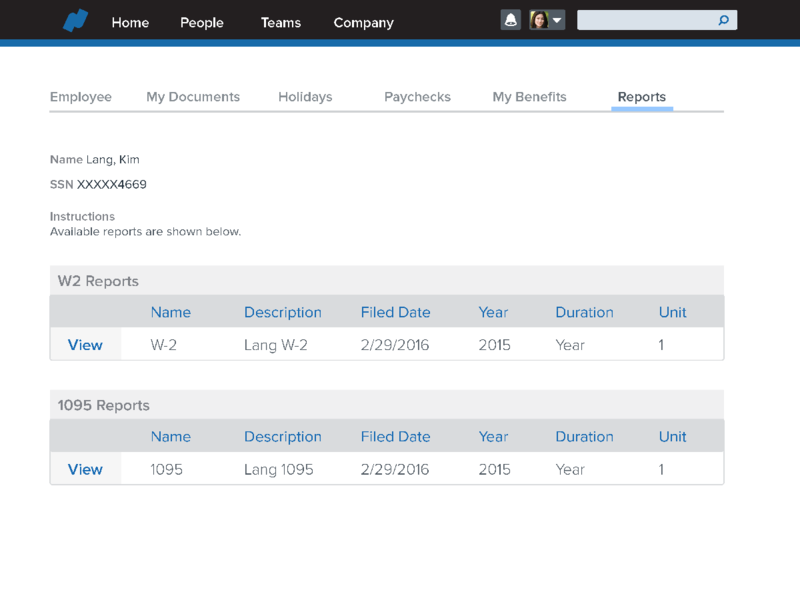 Reconcile payroll with Namely’s prebuilt, standard reporting. Import hours worked, and pay hourly employees easily and accurately. Automatically generate and file 1094s and 1095s. We help you stay compliant with local, state, and federal laws. 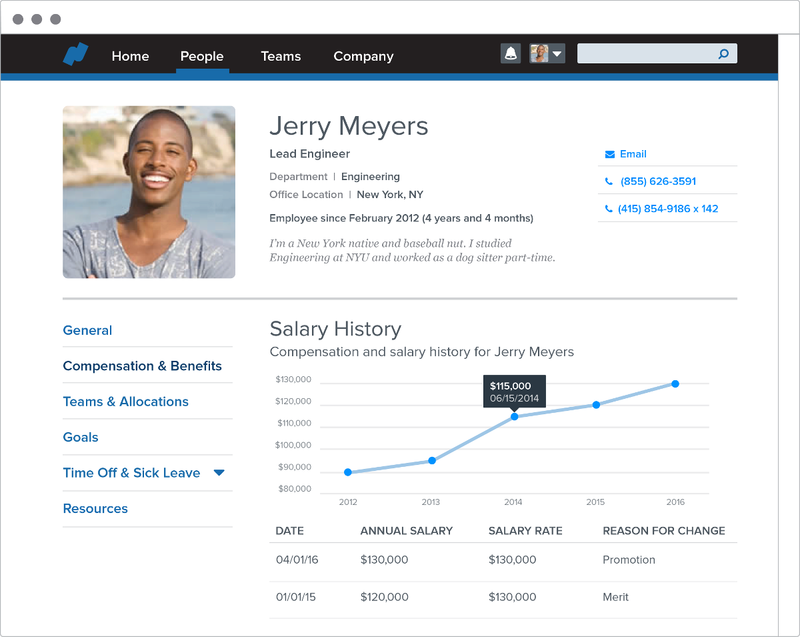 Allow employees to view paystubs and paycheck history. 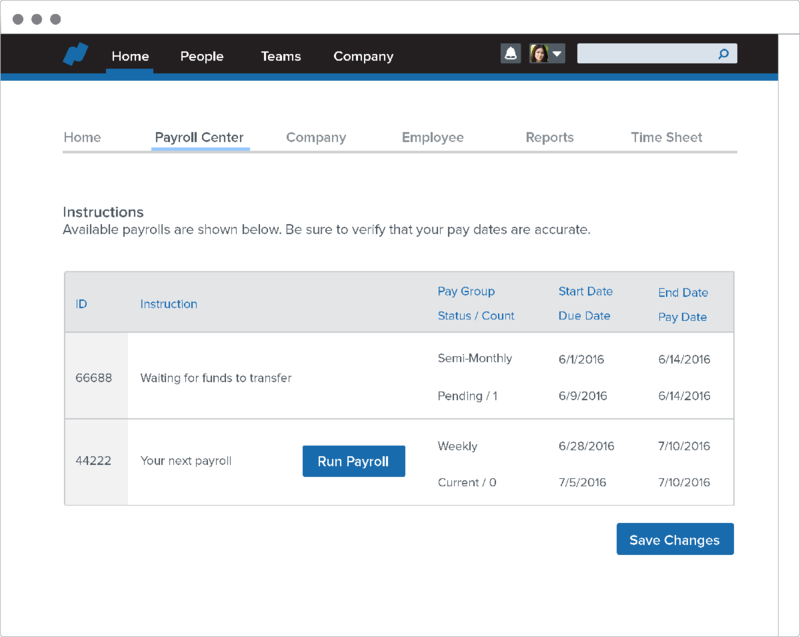 Payroll that works together with your HR, time, and benefits data. 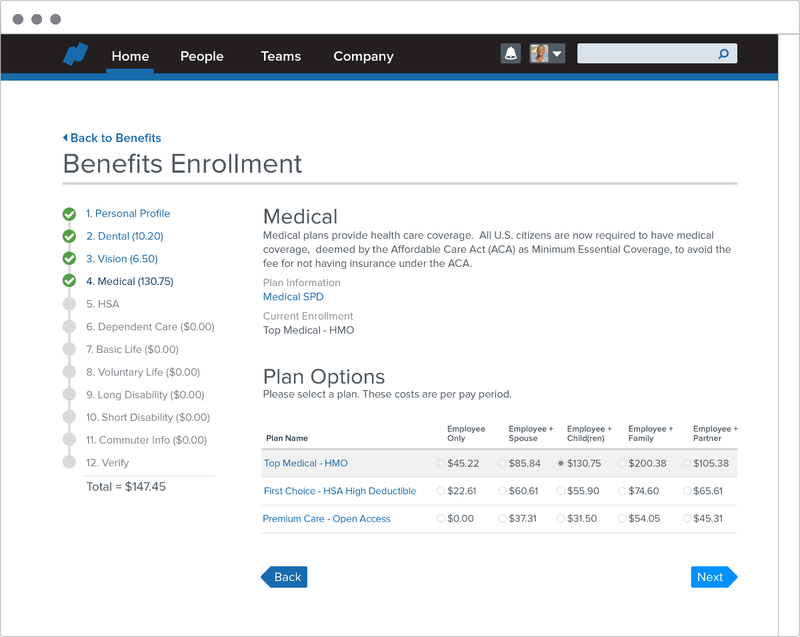 We handle payroll taxes, year-end reporting, and ACA forms. Join a trusted partner processing over $12 billion in annual payroll. Make every payday a good day with the support of our payroll experts. Discover how all-in-one HR makes running payroll easier than ever.